The camera, powered by a DRIMe IV Image Signal Processer, promises speedy performance. 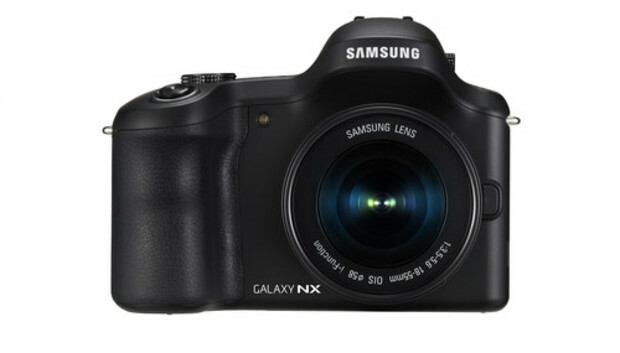 The 20.3MP APS-C CMOS sensor--the same as the company's NX300--offers image quality on the level of larger sensor DSLRs and DSLTs. More than 30 Smart Modes let you get creative. Multi Exposure, for example, merges two shots into one image. Animated Photo connects continuous shots of up to five seconds, creating an animated GIF file--an old form that has come back into vogue with a vengeance. Sound & Shot mode stores sound and voice together as the picture is taken. Working with the built-in GPS, the Photo Suggest feature detects your current location and consults a database of photos to suggest photographic opportunities for you.